With our annual camping trip coming up, I've been looking through the Anorak online store dreaming about the mini camper* I'd like to fix up one day. *My goal is to find a little vintage camper (like a Shasta or airstream!). For now, we camp in our tent or with my family in their pop-up. I was just thinking last night that I need to buy or make a cute sleeping bag. love these SO MUCH. 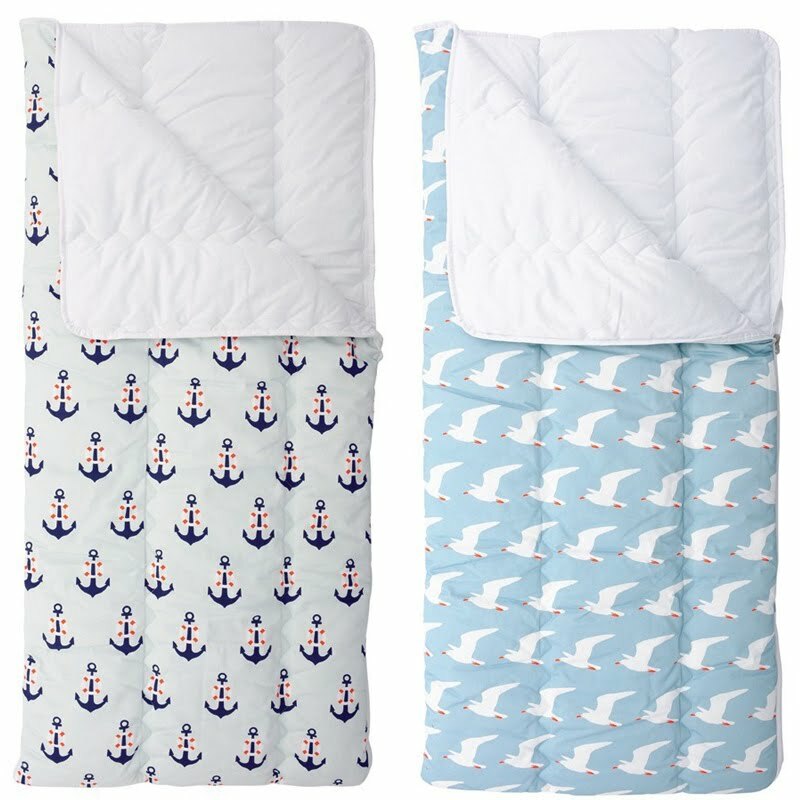 that anchor sleeping bag--gasp! those prints are adorable! they kind of make me want to go camping.... but i will still be afraid of bugs. I love these so much. Camping is the best as it is, but even better with this snappy gear!! it's almost "glamping" with gear this pretty!! I love those prints! How cute! We've been talking about getting a little camper, like a Scout or something, in the future, but we too enjoy tent-camping for the time being. Have a blast! 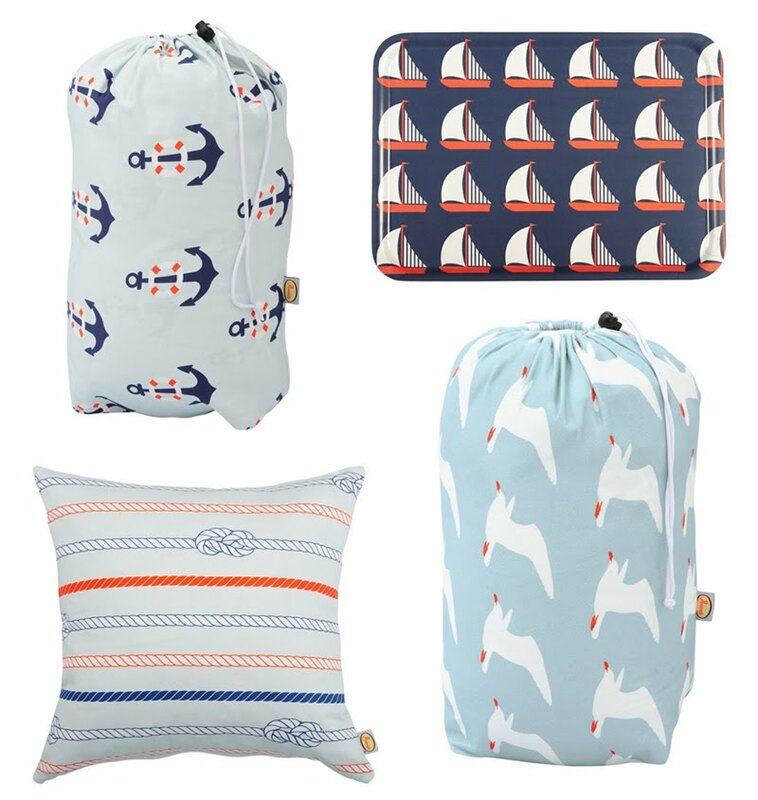 Thank you for sharing this....i love all things nautical and can't wait to check out there site. Adorable! Thanks for sharing this. Love the fresh marine prints.